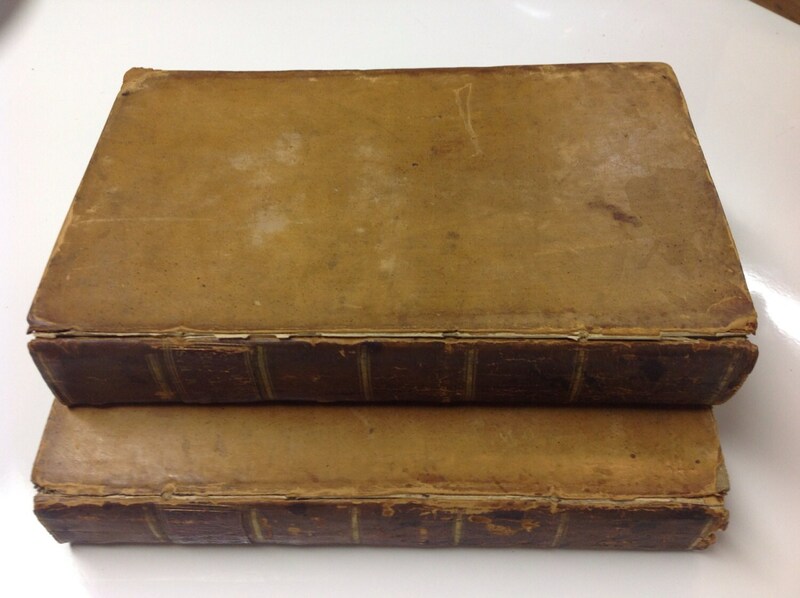 Proudly presented for sale are two scarce 1782 volumes of David Hume's History of England. This includes a portion of the history from the invasion of Julius Caesar to the revolution in 1688 in two of the original eight volumes. 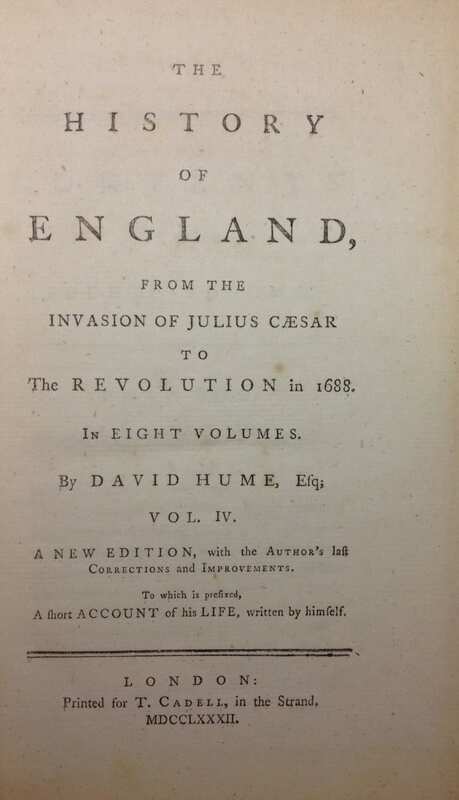 Hume published the first volumes of his thorough history during the years 1754-61 during his residence in Edinburgh. This is a slightly later edition with corrections by the author and a short autobiography. These 18th century editions are highly sought after by collectors perhaps in part because of the controversy surrounding their release. So popular was it ultimately that the history was released in over 100 editions. Many considered it the standard history of England for the time. At the time of this writing, these are believed to be the oldest editions available for purchase. The present volumes printed for T. Cadell in The Strand, London, England. 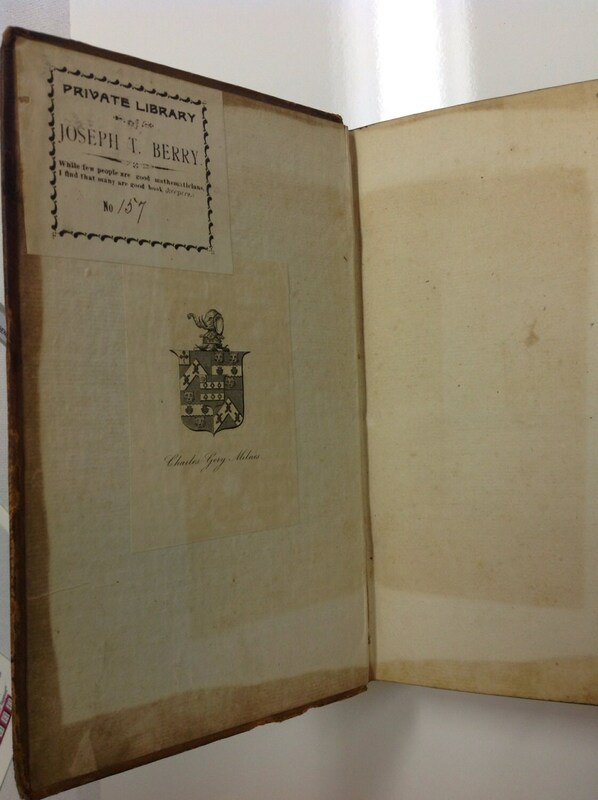 These books have condition issues typical of books from the 18th century. Wear to the covers including bumps and minor chips are evident. 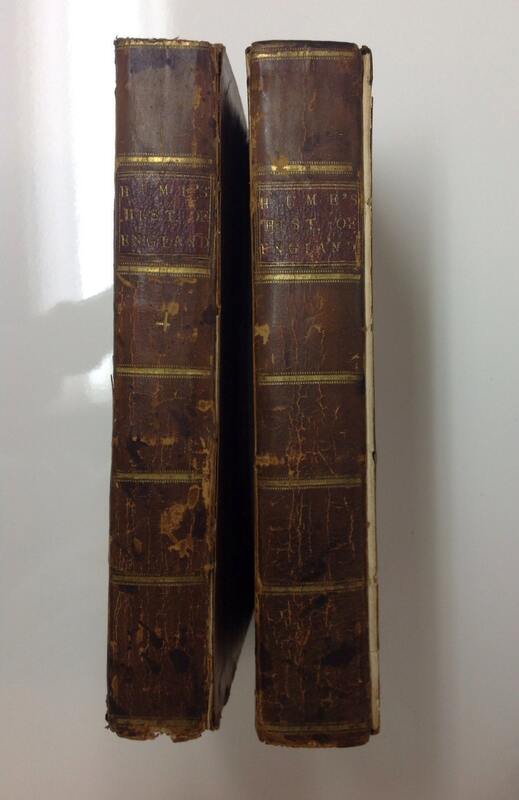 Minor wear to the spine label and gilding on both volumes. Volume 4 has cracking of the cover hinge on the outside close to the spine, but is well attached for careful reading. The front cover of volume 7 is scarcely attached if at all, and one page torn now having an ad hoc repair. Volume 7 has a single worm hole (inactive). Minor foxing and ex libris label from a couple of collectors, one well known from the mid 19th century. A 1920s newspaper article from Denver tucked away in one volume. 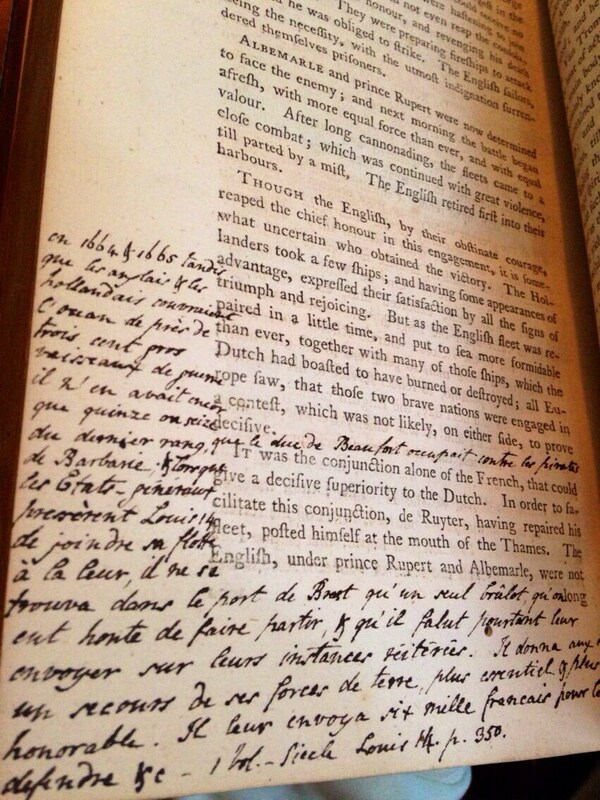 Tidy scholar's notes occasionally at the margins throughout made with quill and ink by different hands in Latin, English, and French. Overall, condition is commensurate with age and use. What a find!